Blockchain solutions have impacted the fintech sector more than any other, changing the possibilities in payment and settlements. Blockchain and other Distributed Ledger Technologies (DLTs) brings an unprecedented level of transparency, speed, and accessibility to financial transactions. More and more players are joining this latest move, seeking to fill loopholes in earlier solutions available—and there are indeed loopholes to be filled. Blockchain solutions besides the aforementioned benefits they afford users are plagued with their own problems. This is not unexpected given that the technology is still relatively new and developing at a fast pace. As this development continues, developers tend to specialize on advancing individual areas of the technology leaving room for entrants to advance other areas. What comes as a result is that newer blockchain products are developed which attempt to address pain points identified by users. There are currently over 1600 cryptocurrencies, most of which are products of blockchain projects with their own mission usually aimed at carving a niche in the blockchain and cryptocurrency space. It will out of place, therefore, to neglect these solutions which are sprouting or unduly place a blanket categorization as this would undermine the peculiarities of these projects. Whereas some are public blockchain networks, some others are private networks focused on more particular fields. In like manner some are universal payment tokens (or coins); some are privacy coins; others, utility tokens granting access to problem-solving blockchain ecosystems. D-Zone Coin is one the newer blockchain projects with a mission to improve the security and convenience of financial payments and settlements. This is indeed an audacious goal as this area is one that has attracted a lot of attention and could well be one of the biggest benefits DLTs will offer society. In this review, we take a look at the foundations of this project, its operations, its protocol, and what to expect from it. D-Zone Coin is the virtual currency used for blockchain settlement service, “Dream-Pay” which is operated by Global Dream Japan Co. Ltd. In a press release earlier this month, the group claimed that it uses blockchain technology to realize high security, immediate settlement. The project commenced in October 2017 when Dream-Pay service was launched in Korea. Later that year (December), the parent company became a regular member of Korea Software Industry Association (KOSA). The project has since grown its influence within and outside Korea, winning several awards including the Blockchain White Paper Award (Korean brand subject category) in December 2017, as well as LA Municipal Government, Award of Social Achievement Appreciation (USA), Korea Republic of Korea Block Chain Industry Awards (Grand Prize, Simple Settlement Category) both in 2018. 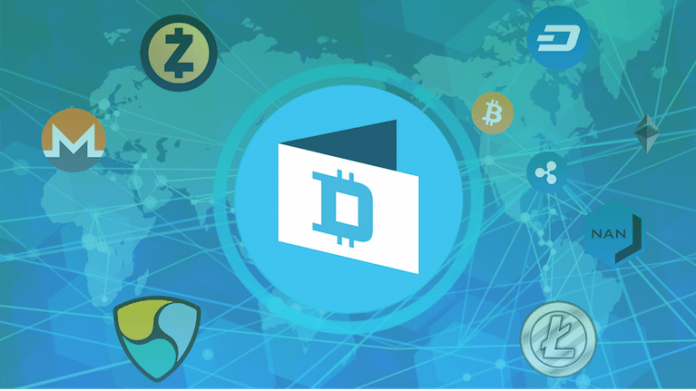 In July 2018, D-Zone Coin [DZC] got listed on cryptocurrency trading platform, CoinExchange. 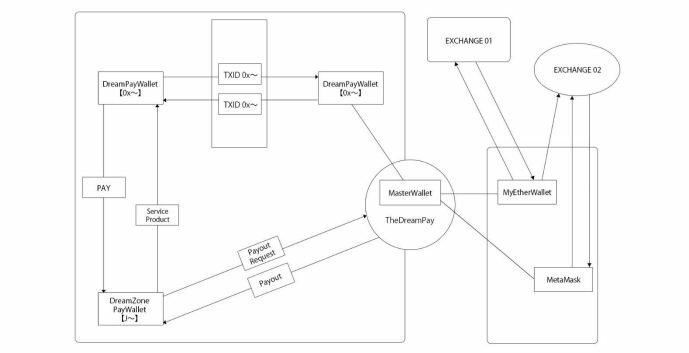 The Dream-Pay is a suite of remittance and settlement services that uses proprietary coins. The service uses its D-Zone Coin [DZC] token to facilitate payment and transfer settlements. Also with a commission of only 0.5%, it is one of the lowest settlement services attainable in the industry. By converting between DZC and legal tenders, The Dream Pay Service allows cross-border transactions at low fees. The service is targeted at consumers, merchants and affiliated stores to facilitate transactions between the parties and boost global economic activities. The Dream Pay App, which was released in May 2108 serves as a payment instrument, a wallet for the DCZ tokens and more. The developers promise to integrate global IM and chat functionalities similar to LINE and WeChat. The D-Zone Coin project is new and ambitions and this makes it an interesting one to watch closely. After its Initial Coin Offering which started on June 1 and ended on July 4, the team has set its sight on major exchange listings for the coin. Beyond that, it has planned developmental goals in which can be seen in its roadmap. One of the plans the project has is to launch a virtual currency exchange named, “DREAMEXCHANGE”. Another is THE DREAMMALL, which will be a shopping mall service available around the globe. If it isn’t obvious already, it plans major international expansion to link its services over the world starting from strategic locations; Korea, Japan, Thailand, Philippines, and America. If the roadmap on its whitepaper is anything to go by, then we expect notable achievements and progresses as early as next year. Next articleCan Ethereum Change The World?